Abejas de Guanajuato (LNBP) strengthened their roster with addition of 29-year old American (has also Panamanian passport) point guard Trevor Gaskins (188-89, college: Louisiana Tech, agency: Pro Sports). 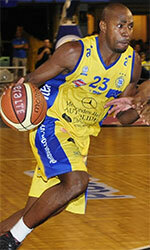 He played in the summer at Correcaminos in Panamanian LPB league. Gaskins managed to play in three leagues in two countries last year (!!!). Among other achievements he received Latinbasket.com All-COCABA Championships 1st Team award back in 2015. Gaskins represented Panama at the Central American Games in Managua (Nicaragua) last year. He is a very experienced player. Thanks to Gaskins' pro career he managed to play on three different continents (Europe, Latin America and of course North America) in four different countries. 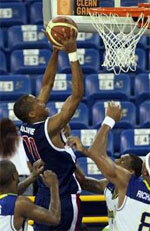 Gaskins has played previously professionally in Argentina (Ferro), Colombia (Cafeteros), Israel and Puerto Rico (Indios). He attended Louisiana Tech University until 2012 and it will be his seventh season in pro basketball.